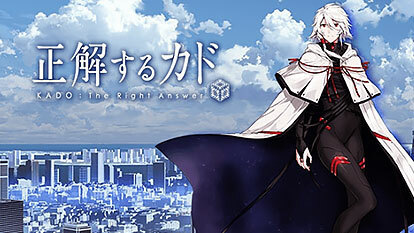 As Japanese authorities attempt to identify the cube's properties and origins, Shindou encounters an otherworldly entity known as Yaha-kui zaShunina, who materializes in the form of a human man. He assures Shindou that the passengers are not in any danger and requests help in negotiations with the human world. Hailing from a higher dimensional universe known as Novo, Yaha-kui zaShunina is able to transfer information between Novo and Shindou's universe through a cube called Kado. Despite having these unfathomable abilities, he does not appear hostile. Instead, he announces that he has come to this world with only one intention: to "advance" humanity starting with Japan.